ViolinandCello.com features music editions by McKinley & Co, a mother-daughter team based in Altadena, California. 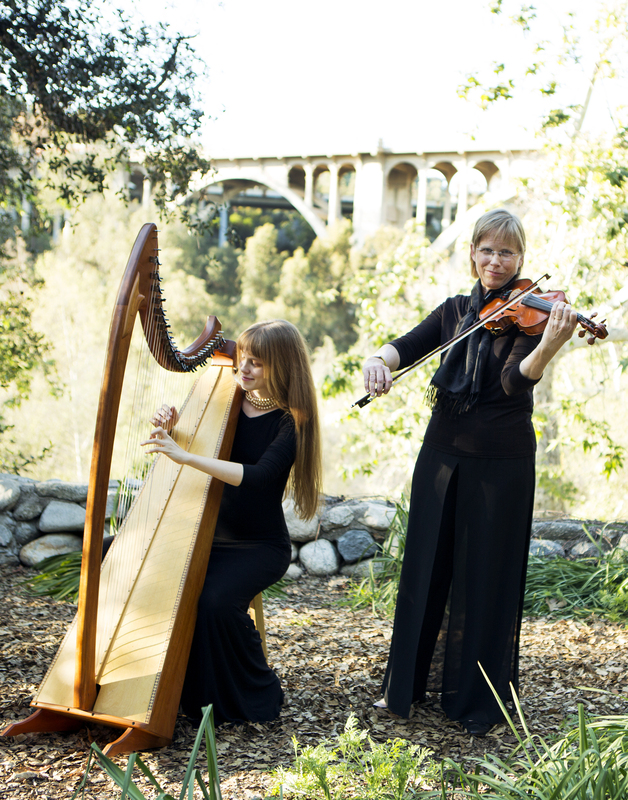 Its founders are Anne McKinley, violinist, and Corrie McKinley-Potter, harpist. We are here to provide you with beautiful and playable music, mostly for violin and cello. As with all endeavors, the talent and hard work of others are well represented in McKinley and Co arrangements. In particular, the cello parts are polished by Judy Cain and the guitar parts and chords are written by Steve Wilke. We also appreciate the excellent advice of pianist Molly and the valuable comments of our customers. Over the years, I have searched for the best pieces for violin and cello and have arranged many others. We are happy to offer them here at ViolinandCello.com and hope that you, too, will find them a useful part of your repertoire. We are always adding new products and we welcome your comments and suggestions. Please Contact Us if you would like to be notified by e-mail about new arrangements.